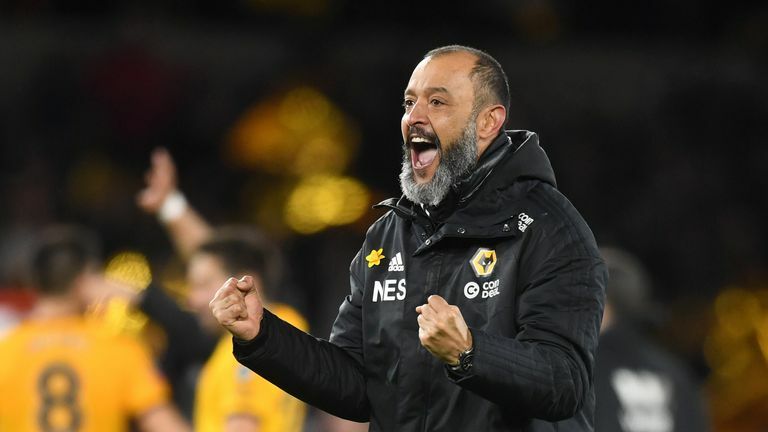 In a record-breaking season, Wolves head coach Nuno Espirito Santo says his ambition is to make new history with the club. Wolves are vying for a place in next season's Europa League, and they currently sit seventh in the Premier League with an FA Cup semi-final to look forward to. The club are on course for their highest top-flight finish since 1980 when they finished sixth, and have already surpassed their best Premier League points total, which was 40 points eight years ago - and beat their record for most Premier League wins in a season with 12 to date. Nuno's side face Watford in the FA Cup semi-final on April 7 and said: "The best way to be ambitious is to help the team work hard every day. Dreams don't give you things. Hard work gives you [results]. "We have to realise the history of the club. It is important, it is massive but it was in the '50s, '60s and '70s so it was a long time ago." Wolves last won silverware in 1980, but Nuno said he won't allow the players to get distracted by the Wembley date. "The atmosphere is good but that cannot distract us. We know the job that we have to do and our focus is on a daily basis. "We go training session after training session, then we have an international break and then we have FA Cup semi-finals. We cannot get distracted and not allow ourselves to not do things right. "It helps but it doesn't change [the focus] because we did it before. The routine and the philosophy is here so we just have to continue on playing."